Jeep® Wrangler vehicles are notorious for their slow depreciation, often holding onto their value after many years of use. While this is great for current owners who buy their Wrangler as a long-term investment, it could be a deterrent for those looking to buy a used one. Wrangler vehicles are versatile and can withstand a lot in their lifetimes, but how exactly do you know if you’re getting your money’s worth? Here are several things to look for when shopping for a used model. Overall numeric mileage is one thing – the road conditions under which the Jeep acquired those miles is just as equally important. While the difference between the two is relative and is entirely subjective depending on the potential buyer, very low mileage under off-road conditions or extensive mileage on paved roads affect the vehicle in different ways. A good way to figure out how the Wrangler has been used is to check the condition of the undercarriage, if the skid plates show excessive scraping or damage then it can mean the vehicle has seen a substantial amount of off-road activity. It’s important to note that these aren’t indicators that the Wrangler has been abused, but could prove a deciding factor depending on the overall price. This should be a no-brainer after a thorough inspection of the exterior of any Jeep Wrangler. Everyone is in the business of wanting a reliable vehicle when looking to buy a used one and the first area to focus on should be the engine and transmission. Besides looking at maintenance and recall records, potential buyers should also inspect an engine bay’s cosmetic condition to indicate that the Jeep was properly maintained. Once the engine bay is inspected, it’s time to turn the key in the ignition and listen for any irregular idling or misfiring. The best time to check out a Jeep is early in the morning before the current owner has had an opportunity to start and run the engine. Up next (once the engine has warmed up) is the infamous test drive part of the inspection – this is where the transmission will sink or swim depending on how smoothly it shifts. While Jeep Wrangler vehicles are notorious for their “harsh” ride, the experience behind the wheel should be a smooth, stable, and consistent one. Additionally, make sure to test the Jeep at highway speeds to detect any excessive jerking or unstable handling as this could indicate other mechanical problems. Wrangler vehicles can take on some wear and tear depending on the geography of where they’re located. The undercarriage can take a beating from more than normal levels of salt, be it in the air if you’re near the ocean or from combatting snowy climate further North. Detecting rust on a Jeep Wrangler is critical and is one of the easiest things to spot. It’s also one of the more challenging repairs and can be one of the most expensive as well. Some rust is to be expected, but no components should be to the point where they are heavily pitted or corroded. It’s best to avoid any Wrangler that has rust in any somewhat advanced stage. Of course, anyone looking to buy a Wrangler is influenced by the way it looks, and no one wants to be seen in a Wrangler that’s less than perfect. Wear and tear of the exterior is normal after a few years on the road for any vehicle, but when it comes to the Wrangler there are some specific parts that potential buyers should pay attention to. The windshield frame, brackets, and hood should all be checked for chips, cracks, or rust – either due to weather or those idle rocks that dump trucks tend to accidentally throw our way as we are busy cruising. While these things don’t tend to factor as an issue when it comes to the structural soundness of the vehicle, they should factor into a perceived fair price – inspect them thoroughly! 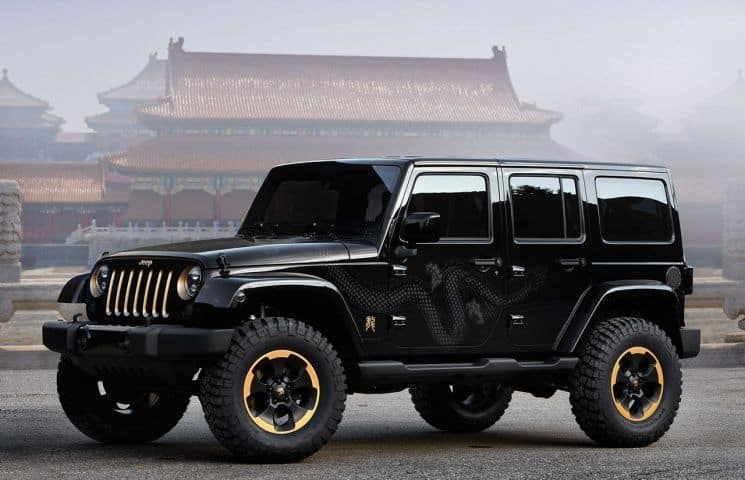 Chances are that you’re probably going to find very nice Wrangler vehicles on sale that likely belonged to devoted Jeepers, and more often than not these vehicles will have some level of customization. Know that if you are looking into a Wrangler that’s already been transformed into an off-roading machine, you will be asked to pay a price that reflects that. The upside to this is that it saves you time and functions as a long-term investment for you as well. If a Wrangler has been modified, always have a reputable mechanic check it out to verify that installations were performed accordingly to reduce the risk of hiccups down the line. We’ve got two bonus tips if you’re in the market for a used Jeep Wrangler: (1) be sure to keep in mind the previous five tips and (2) search the latest Driver’s Auto Mart inventory! Be sure to follow Driver’s Auto Mart on social media for more tips in the future.